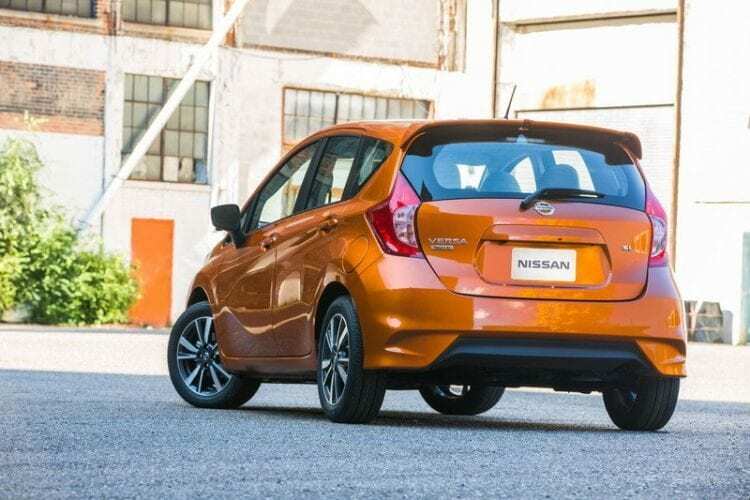 Nissan originally introduced Note in 2004 with its funky rear styling and puppy-like front appearance. The amusing exterior was contradicted by completely unimaginative and plasticky interior. The year 2012 saw a birth of the second generation and restraint in exterior looks, leaving its MPV-style for common hatchback look, although with improved interior design and quality. 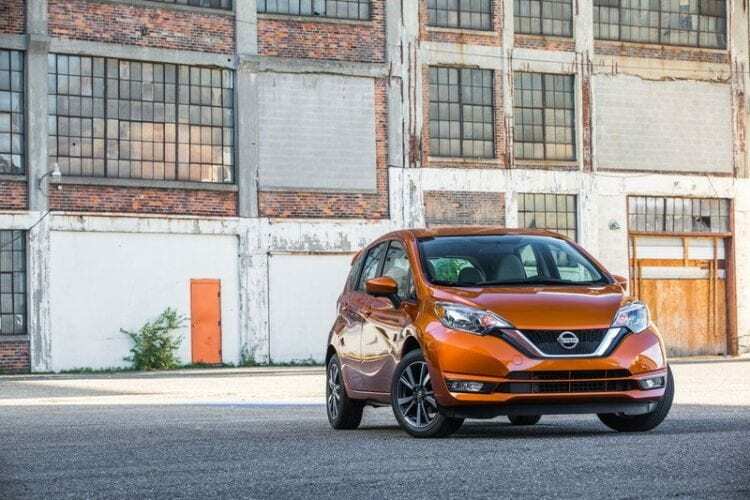 While V-motion grille is finding its way to the face of every Nissan’s model, Note cannot escape either, and we have 2017 Nissan Versa Note redesign that we are going to talk about. As mentioned, the front fascia is V “grilled” which made it far better looking and with bumper changes and rear spoiler car features much sportier design. Have in mind that rear diffuser and spoiler are not present in the base trim model. To be honest, anemic looks of the second generation were troubling for sales as Ford Fiesta and Kia Rio were much more appealing and this change should be warmly welcomed. 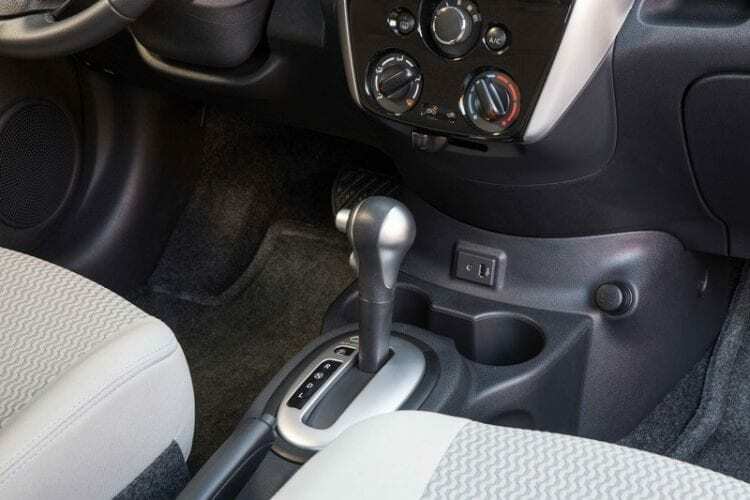 With this mid-life refresh, interior stays unchanged, expect for larger cup holders and relocation of the 12-volt outlet and USB auxiliary port to the front of the center console. In terms of space, the cabin is still leading in the class as some MPV genes of predecessor survived the changes. SL trim gets NissanConnectSM with Navigation and Mobile Apps, a 5.8-inch color touch-screen display, Voice Recognition for navigation and audio, SiriusXM Traffic and Around View Monitor2. The downside is that even with the major improvement in cabin quality brought by the second generation, an overall feel of cheap plastic and lack of refinement is still present. For the US there is only one engine and no changes were introduced with the facelift, but on the bright side, the unit in question is more powerful than the one that is offered in Europe. Your only choice would be 1.6-liter four-cylinder petrol unit with 109 horsepower and 107 pound-feet of torque. The powerplant uses a dual injector system, continuously variable valve timing control, and electronic drive-by-wire, and even though it is just plain with 0 to 60 mph time of 9.5 seconds, it delivers excellent numbers in fuel economy segment – 39 mpg highway and 31 mpg city. Also unchanged are vented front discs and rear drum brakes, ABS at all four corners, electronic brake force distribution, brake assist, an independent strut front suspension and a torsion beam rear axle. Starting price is $15,480, which is $1,250 more than previous year offer, but S trim is deleted from brochures making S Plus trim a base one, so the price hasn’t changed exactly. Better equipped SV model brings keyless entry, five-inch display, RearView Monitor, power windows, leather-wrapped steering wheel and also price increase to $16,380. If you are looking for more, go for SR trim with the sticker at $17,980, and you’ll get 16-inch wheels, side mirrors with LED turn signals, suede seats, and other. 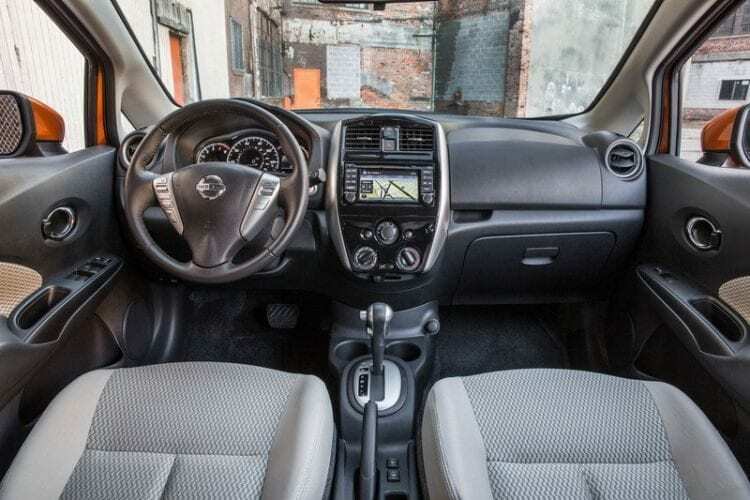 Top offer is SL version, which comes with Nissan Connect with Navigation and Mobile apps, SiriusXM Traffic, and heated side mirrors, priced at $18,710. It is prettier, sportier looking and fairly priced. Cabin quality is its downside, but same segment offers don’t come with much of luxury amenities either. In the end, it is decent enough car in total to fill the gap until a new model arrives with hopefully more refined and more luxurious interior.